It often appears that we Americans are obsessed with health. Media outlets trumpet the latest gene and drug discoveries, dietary supplements line shelf after shelf in the supermarket and a multi-billion dollar industry of magazines, videos and spas sells healthy "lifestyles." We spend more than twice what the average rich country spends per person on medical care. Yet we have among the worst disease outcomes of any industrialized nation – and the greatest health inequities. It's not just the poor who are sick. Even the middle classes die, on average, almost three years sooner than the rich. At every step down the socio-economic ladder, African Americans, Native Americans and Pacific Islanders often fare worse than their white counterparts. Interestingly, that’s not the case for most new groups of immigrants of color. Recent Latino immigrants, for example, though typically poorer than the average American, have better health. But the longer they live here, the more their health advantage erodes. Our international health status has fallen radically in the last few decades. In 1980, we ranked 14th in life expectancy; by 2007, we had fallen to 29th. Our infant mortality rate lags behind 30 other countries. And illness now costs American business more than $1 trillion a year in lost productivity. Healthy behaviors, molecular research, and of course, universal health care are all important. But evidence suggests they miss the most vital factor of all: how the social circumstances in which we are born, live and work can get under our skin and disrupt our biology as surely as germs and viruses. We produced UNNATURAL CAUSES to draw attention to the root causes of health and illness and to help reframe the debate about health in America. Economic and racial inequality are not abstract concepts but hospitalize and kill even more people than cigarettes. The wages and benefits we're paid, the neighborhoods we live in, the schools we attend, our access to resources and even our tax policies are health issues every bit as critical as diet, smoking and exercise. The unequal distribution of these social conditions – and their health consequences – are not natural or inevitable. They are the result of choices that we as a community, as states, and as a nation have made, and can make differently. Other nations already have, and they live longer, healthier lives as a result. We hope that UNNATURAL CAUSES and its companion tools will help you work towards better health by bringing into view how economic justice, racial equality and caring communities may be the best medicines of all. Series Creator/Executive Producer Larry Adelman and Co-Executive Producer Llew Smith offer insights on the art, the science and the inspiration behind their new series. What inspired UNNATURAL CAUSES? Where did the process begin and where did it take you? Larry Adelman: The seed was planted several years ago when we were making RACE - The Power of an Illusion, a series that explored popular myths and misconceptions about race. We found out that African Americans have one of the highest hypertension rates in the world. The knee-jerk hypothesis among some scientists was that this had something to do with genes, but that idea was exploded by research showing that West Africans (whose ancestors are shared by many African Americans) enjoy one of the lowest hypertension rates in the world. Instead of some mythical genetic variant, the real culprit behind these high blood pressure rates is more likely rooted in the stresses of everyday life particular to the African American experience, i.e., racism. That's when we first realized how the "outside" – our social and economic environment – could get under our skin and disrupt our biology as surely as germs and viruses. As the RACE series screened around the country, folks brought to our attention literally hundreds of studies and journal articles describing the many pathways by which class and racism influence health outcomes as surely as diet, smoking and exercise do. And we learned that it isn’t just African Americans or the poor leading sicker, shorter lives because of inequality, but white, middle class Americans too. work beyond what an individual can control. That led us to the growing research focused on "social determinants of health" and "health equity." One of the most exciting things about making this series has been bringing the data to life through the health experiences of real people and real communities. The stories and individuals our producers have captured on camera are just stunning, remarkable, moving. It’s a much more emotional series than I thought we'd create. While the science is the critical underpinning, UNNATURAL CAUSES is at its core a collection of powerful stories about people and communities struggling to better their health. Share the meaning of UNNATURAL CAUSES as a title. LA: We must have argued over a dozen titles before Jean Cheng, our series Web site producer, suggested UNNATURAL CAUSES. It fit perfectly. As Nancy Krieger, a professor at the Harvard School of Public Health, cautions in our film, "It's not as if we won't die. We all die. The question is: at what age? With what degree of suffering? With what degree of preventable illness?" We understand that all our organs eventually wear out. That's natural. But what's unnatural? If your heart wears out faster because you work two jobs that don't pay enough to survive and you always have to worry about being let go; if your kid has asthma because we've allowed oil refineries to pollute the air and not forced landlords to keep their premises free of cockroaches and mold; if you get fat because you spend two hours commuting, there are no grocery stores nearby and the easiest meal is fast food; if your blood pressure is high because you don't feel safe in your neighborhood and are worried about what might happen to your kids but can’t afford to move… none of those are natural causes. LS: For me, the title underscores an essential theme that runs throughout the entire four hours of the series: that the profound inequalities in health all around us – if we just stop and look – are not accidental or inevitable. As one of our series' experts David Williams says, "These are not acts of God, and they don’t happen by chance." They result largely from policy decisions we’ve made, and we can certainly unmake them if we had the political will. The title also suggests a crime scene-type investigation. That's what our series does, in an interesting way. It's an inquiry into the reasons why some neighborhoods have better overall health than others; why some populations live longer than others. For most people, the first solution that comes to mind is better access to health care. This is addressed in the first few minutes of the opening episode, entitled "In Sickness and In Wealth." The program makes clear that while access to health care is absolutely critical – and it's shocking that we’re the only industrialized nation without universal health care – the lack of health care in and of itself is not the cause of illness and disease. The answers lie in other factors in society. Who are your partners and supporters of this project? LA: What makes this work exciting to us – and more expansive than content confined to a television screen - is its value to those already working to improve Americans' health. The series taps into a vibrant movement of public health advocates, community activists and policy experts who are not only spotlighting the root causes of our health inequities but also advancing solutions. This project is truly collaborative. It did not begin with the production nor will it end with the broadcast. Relationships with key partners were built before the first treatment was even written. The series, a public engagement campaign and accompanying tools have been developed in tandem with health equity initiatives led by the Health Policy Institute of the Joint Center for Political and Economic Studies, the National Association of County and City Health Officials (NACCHO), the American Public Health Association (APHA), the Praxis Project, PolicyLink, the Prevention Institute and others. Joined by other partners across the country, they will utilize the series and companion tools to reframe the public debate over what we as a nation can and should do to tackle health inequities. LS: The ultimate value of the series will be determined by how effectively it helps the several hundred partners using it. Our media partnerships are also important because they not only embraced the highest standards of filmmaking and programming excellence, but they brought to the table the racial and ethnic diversity that is a cornerstone of our message. Thanks to the National Minority Consortia of public television, the series was shot with a unique team of Native American, African American, white, Asian American, Pacific Islander and Latino producers. How have viewers reacted to work-in-progress cuts of the documentary? How have people reacted to the overall message of the film series? LA: We screened work-in-progress clips at dozens of meetings and conferences and got invaluable feedback. Reactions fell into three categories: gratification, surprise and sometimes anger. When presenting to the public health community, we usually get a sigh of relief and "Thank goodness. It's about time!" Public health advocates have applauded our team for helping take this critical issue into a broader "public" space. They know the data, supported by mountains of evidence, so they are heartened that the film helps to advance the social determinants message as it tells human stories. Like them, we question the individual, bio-medical model. Why, for example, are poor smokers more likely to get cancer than wealthy smokers? Why is our health status often determined by where we live, work and play or the color of our skin? LS: Another set of audiences – perhaps more emblematic of the general public - finds the revelations in the series eye-opening and stunning. They come away with a new grasp of how society matters for health. We’ve been conditioned to believe that if we’re sick it’s because we've made unhealthy choices or have "bad" genes, that an ailing soul can pop a magic pill, or that if we just eat right, exercise, and quit smoking, all our health problems will evaporate. The reality – that class and race-based inequality affects your health - is hard to wrap your mind around. But it all comes together for viewers in the four hours and seven segments that make up UNNATURAL CAUSES. Isn’t this mostly a problem of the poor and some people of color? Why should the rest of us care? LA: Apart from common decency, there are very practical reasons why we should all care about health inequities. Believe it or not, almost all of us are affected. First, there is a continuous wealth gradient, or pyramid, with health tracking wealth from top to bottom. Those at the top hold the most power and resources and, on average, live longer, healthier lives. The rest of us do worse – some even much worse. But it's not just the poor who are sick and dying. Those in the middle are still almost twice as likely to die an early death as those at the top. But the real question is, should how much money we have determine how long we live or who gets sick and who doesn't? LS: Also, business is losing more than $1 trillion a year in productivity due to chronic illness, and our medical care system is stretched to the breaking point by a sick population and becoming increasingly unaffordable. We're all paying the price, whether we realize it or not. Health inequities are not about them. It is very much an "us" issue. How does the research you present in the film series differ from that of previous films? LA: UNNATURAL CAUSES breaks new ground by sifting through a wide body of existing research on the sources of our socioeconomic and racial inequities in health and putting it on television for the first time. Michael Moore's Sicko was about our health care system. UNNATURAL CAUSES looks at what's making us sick in the first place. Health care is what Robert Evans called "our repair shop," where we take our bodies when they break down. But what's wearing down our engines in the first place? And why is that wear and tear so differentially distributed by race and by class? That's what this film explores. We've just scratched the surface. There are many opportunities for investigative, feature and local news reporting, not just coverage by health writers or television critics. Explain the phrase repeatedly heard in the series: "Social policy is health policy." LA: Americans' life expectancy increased 30 years over the 20th century. That wasn't just because of new drugs and medical technology. Arguably, much of that improvement can be attributed to social reforms that raised the standard of living for most everyone. The eight-hour work day, universal schooling, social security, collective bargaining rights, building codes, pollution laws, corporate regulation, and civil rights legislation – these all improved living conditions and thus the health status of millions of Americans. Travel overseas to Europe where health and life expectancy are considerably higher than ours, and you also see the links between national social policies and government expenditures. Free universal child care, quality schools, paid parental leave, paid vacation, and of course, guaranteed health care – these things powerfully enhance health for individuals, families and communities. Sweden has a child poverty of 4.2 percent. Ours is 22 percent – more than 5 times higher. But the social spending is reversed: Sweden allocates 18 percent of its GDP to social programs; the U.S. less than 4 percent. Should we be surprised that Swedes live on average four years longer than Americans? LS: I can answer that question by revisiting our series title. Class and racial inequities and the health disparities they spawn are not "natural." They are the products of public policies that transfer wealth and power to corporations and the rich. We don’t have to opt for the status quo. Our health outcomes are patterned so unequally because of decisions we as a society have made. We can make a difference if we choose. Besides income, there are all sorts of health benefits — and health threats — that are distributed unequally, ranging from good schools to access to nutritious and affordable food to racial opportunity. Building a more just and equitable society that works for everyone is not simply a PC (politically correct) ideal. It has life and death consequences. You’ve laid out the problem and challenges. What about solutions? LA: By demonstrating how inequality and racism are not abstract concepts but hospitalize and kill even more people than cigarettes, UNNATURAL CAUSES hopes to build support for the best medicine of all: economic equality, racial justice and caring communities. There's a lot we can do. 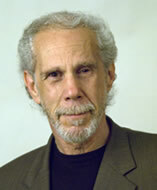 As sociologist David Williams points out in the show, improving equality of opportunity, increasing wages, investing in our schools, reversing regressive tax policies, improving housing, integrating neighborhoods, opening up labor markets, and giving people more control over their jobs – these are all public health strategies. How do you want this film series to be used? LS: Well, first we want to inject these ideas about health equity into a larger public dialogue, something even the researchers and epidemiologists admit they haven’t been able to do effectively. Michael Moore's film Sicko vividly depicts one critical dimension of our national health crisis — yes, we should all have good health care. But the question remains, why are whole populations and communities in such dire need of health care much more often than others? What is creating illness in some communities and healthy living in others? So, at a time when the country is discussing health care solutions, we also need to be discussing these other social and economic factors that have powerful consequences for health. Second, we hope the series will help change the way we think about health, by making these ideas and research accessible to ordinary viewers, community activists, legislators, policy makers as well as public health teachers and administrators. Very little of this data on the social determinants of health has been presented in ways that are accessible to the general public. Month after month it's published in peer-reviewed journals that most of us have never heard of and will never see. So our series is breaking new ground, not because we've done original research, but because we've taken the research and shown how these concepts play out in stories from the lives of real people around the country. For me, that’s the real excitement and power of UNNATURAL CAUSES. Series Creator and Executive Producer Larry Adelman offers a powerful argument that a zip code is a better predictor of health outcomes than genetic code, diet and even medical care in this first edition of the Voice Matters eBooks series. In this Guest Foreward, series creator and executive producer Larry Adelman examines how health and illness are patterned along racial and class lines, and how economic and social forces, including racism, shape population health. Series Creator and Executive Producer Larry Adelman explains how wide class and racial inequities in the U.S. and the health inequalities they drive are not natural, but the products of social policies that we as a society have made — and can make differently. An interview with series creator and executive producer Larry Adelman about the film and winning the Alfred I. duPont-Columbia University Award for excellence in broadcast journalism. In this opinion piece, James Rutenbeck, producer of the episode "Not Just a Paycheck," compares the health consequences of involuntary layoffs in Greenville, Michigan, and Vastervik, Sweden. In this seven-page document, Series Creator and Executive Producer Larry Adelman and Associate Producer Rachel Poulain outline the objectives and key themes of the UNNATURAL CAUSES series.